Just in time for summer, everyone's favorite burrito restaurant, Chipotle, launched their new line of Patrón Margaritas. A huge improvement over their previous offering, the new beverage tastes just like something you would receive at a bar: a fresh, individually crafted drink that packs the punch of tequila. Each handmade margarita includes Patrón silver tequila, triple sec, a blend of lime and lemon juices, and is sweetened with organic agave nectar. Just like the rest of Chipotle's menu, it's made with a few simple ingredients. The best part: it's only $6.99. 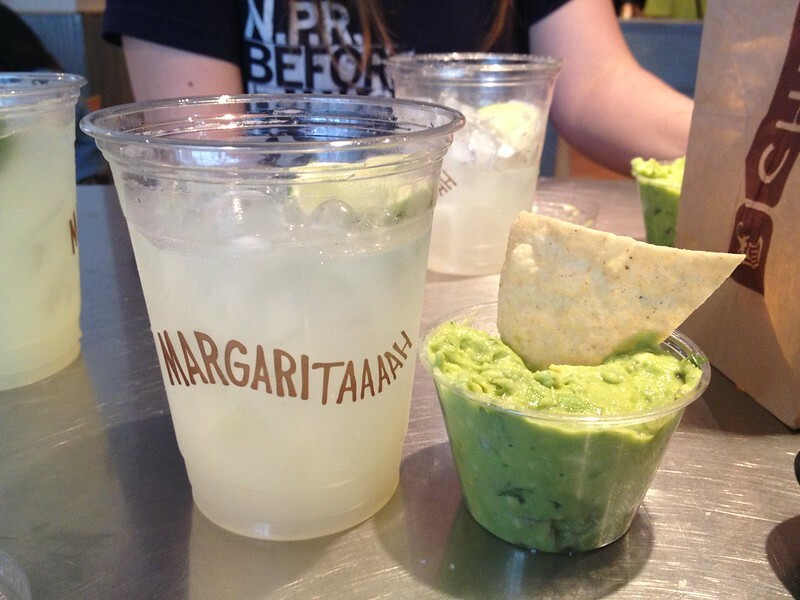 Patrón Margaritas are now available at any Chipotle that has a liquor license. We sipped our drinks at the Fountain Square location, which makes for a perfect treat paired with some chips, guacamole, and their relaxing patio.